This entry was posted on Friday, May 21st, 2010 at 1:33 pm	and is filed under Alan Wake Week. You can follow any responses to this entry through the RSS 2.0 feed. You can leave a response, or trackback from your own site. Was Oliver’s next article in there? 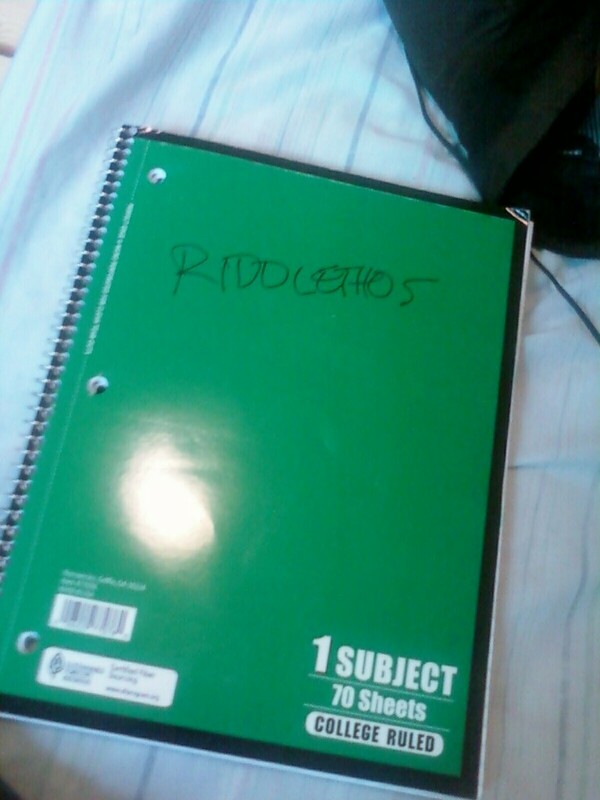 It is *so* *cute* that you have a spiral bound notebook for taking Riddlethos notes, and that you even wrote “RIDDLETHOS” on the cover of it. Adorable. I think you should put some stickers on it. Super CUTE!